What Are The Best Driving Lessons Offered in Brentwood? Brentwood, a town in Essex , England is the most well off towns in this place. The place has shopping areas and as well surrounded by woodlands and countryside. One way to appreciate this place is through driving. That is you will have the chance to see the beauty of this town and driving has always been easy if you are still at the learning stage. As there are best driving schools in the area, and you will be also getting the best driving lessons in town. Driving lessons are affordable and worth the lesson, as you will be able to learn driving in just a matter of 7 days. There is professional and student driving lessons offered. These driving schools offer driving lessons that has the very high standard in order to teach beginners to become expert drivers. In this driving lesson, both automatic and manual driving is taught so that drivers will be challenged to drive any kind of vehicle. So what is there to look forward in this driving lesson? Here are some of the things you need to know about this kind of driving lesson in Brentwood. Training with the driver usually takes 35-45 hours, including 22 hours of practicing privately. Though, remember there are drivers that learn at different levels and some would take fewer lessons and other will take longer lessons. Lessons are recommended to be taken 1-2 intensive days in a week. Test to be taken with the students depends on the capability and the right time. The instructors are the ones who will be to know if the student is already ready to have the test. This is important because after the test, the student will be getting their driver’s license already. When the student fails the test, that is not a problem since you driving school is always open and you can always have another driving lesson any time. That is, there are driving schools that need you to wait for a maximum of 10 days to be able to take the test again. Knowing if you are doing well depends on the instructor. There are also driving techniques that will be able to tell you that you are already doing well and there is feedback on the progress that you are making. Intensive driving lessons are also offered to be able to learn driving fast. These are to suit to every need of the driver. The best ways to learn driving is about 1-2 hours. That is the best time to learn driving well. Paying in advance for driving lessons in Brentwood is also offered. Students can get discounts for this. You can always benefit quality-driving lessons training in driving schools in Brentwood. Learning to drive in Brentwood is a always a good choice. There are great driving schools with skilled driving instructors that offer great driving lessons. So if you want to learn how to drive. you can always choose the place in Brentwood and become the best driver in town. Learning how to drive can be very hard if you do it all by yourself. You need the assistance of a duly accredited driving test center or driving school to push your limits when it comes to learning how to drive. But how do you need that you have found the right driving school? What you need to do is to know the five qualities of a good driving school. There are five qualities that are a must in every driving school. They must have professional instructors, a theory test, skills training, comprehensive driving test and fully-equipped facilities. Professional Instructors– One key towards the success of your driving lesson is the professionalism displayed by the instructors. A professional instructor would always make it possible for the students to be engaged in a learning process that does not deal with the traditional teaching methods. The instructor, even though he is the one who will fill the learners with the knowledge needed must also let his students to feel the responsibility of acquiring knowledge with their own hands. 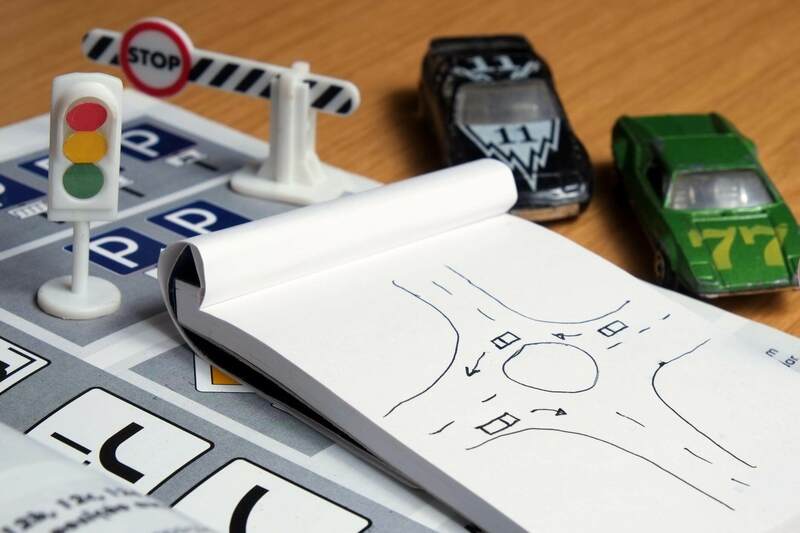 Theory Test– Another quality of a good driving school is by providing the learners with a theory test. A theory test is a test designed to help the learners assess their knowledge of the lesson that is being taught to them. This will also stimulate the learning process and help the instructors analyze the most important things that should be considered. You can book your driving lesson online using the official government website. Most people pass their theory on the 2nd to 3rd try, so don’t worry if you don’t get it right the first time. Skills Training– Aside from the theory test, there should also be a skill training that should be present in the driving school. This will help the learners hone their skills especially the different driving maneuvers that should be done by the learner. This will help prepare them for the actual driving test that will determine if he should be given the licence or not. Comprehensive Driving Test– The fourth thing that you should consider when looking for a driving school to enroll is the comprehensiveness of its driving test. There are some schools that are not so particular with the theories that should be applied to a driving test when in fact this is an important aspect of learning how to drive. Try asking your friends for referrals of good driving schools that have a comprehensive driving test. This will help you pick the right driving school. Fully Equipped Facilities– The driving school should also be fully equipped with the materials needed to complete the driving test. 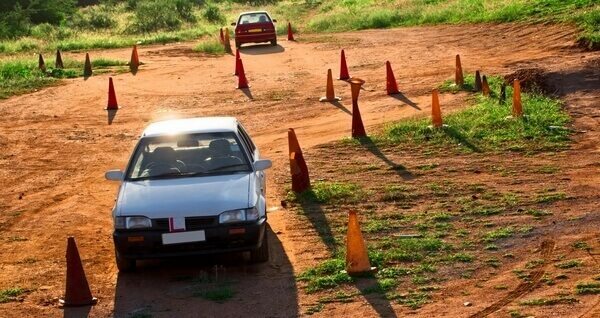 Aside from the materials and technology needed, the driving school should also have a big area where the learners could easily navigate and learn given their first try in driving. This would also help facilitate the learning process since the area is conducive to learning. These are the five qualities that must be possessed by a driving school. It should have professional instructors, a theory test, skills training, driving test and fully equipped facilities. If the driving school possesses all of these qualities, then you are assured that you will have the best result that you desire. One of the most important tests that you should be able to pass to get a driver’s licence is the theory test. The theory test is divided in two parts: the multiple choice part and the hazard perception. This will evaluate if the learners were able to grasp important lessons needed when the actual driving test begins. Multiple Choice Part– The multiple choice part is a set of questionnaire with multiple choices on the different situations that can be faced by a driver. This will test his alertness, attitude, safety and safety margins, vulnerable road users, other types of vehicles, vehicle handling, accidents, rules of the road, and road and traffic signs. Alertness– This will assess if the driver has the skills needed to observe safety, not just for his vehicle but also for other road users. Attitude– This will determine if the driver is considerate about other drivers. Safety and your vehicle-The driver here will be tested if he knows the different defects and how to avoid them. Safety margins– Safety margins are also important, since this will test the ability of the driver to know the different road surfaces that may either be advantageous or disadvantages to him. Vulnerable road users– Vulnerable road users should also be considered. These road users can be children, pregnant women, persons with disabilities and even cyclists. Other types of vehicle– Part of the multiple choice part is also the assessment of your ability to pay equal respect to other vehicles, especially when you are doing your maneuvers. Vehicle handling– This part will test your ability to know how to handle the effects of the different weather conditions that may hinder the driving process. For instance, if you are stuck in a deep snow, what should you do? Accidents– This part of the test will assess the driver’s capability in dealing with accidents and the need of first aid. You will be exposed to different situations that will require quick reasoning and response. Rules of the road– It is also an important aspect to check whether the driver knows the different rules of the road, specifically in the country that he will be driving. Road and traffic signs­– Lastly, another important thing in the multiple choice part is the assessment of the ability of the driver to know the different traffic signs that are useful in maintaining the peace and order in the road. Hazard Perception Part– The other part of the theory test is the hazard perception. This is basically a test administered to know the hazard awareness. The hazard may come from different angles. It may come from other road users, other vehicles or the weather conditions. Taking the driving test first requires you to take the theory test. The theory test is divided into two parts: the multiple choice part and the hazard perception part. Knowing the two parts will help you anticipate the things that you will be faced with and also prepare you for the theory test. Once you’ve passed your theory test, you can go onto passing your practical test, check out our article on the practical test.